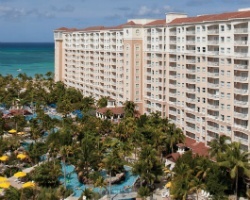 ArubaSurfClubResort.com is not affiliated in any way with Marriott’s Aruba Surf Club, Marriott’s Aruba Ocean Club, Marriott Vacation Club (MVC), Marriott Vacation Club International, Marriott International, Inc., or any of their affiliates or subsidiaries. 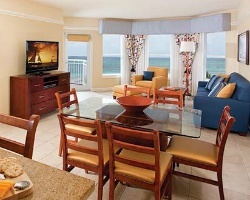 *Marriott's Aruba Surf Club* is located on the shores of Palm Beach and offers luxury villas with spacious living areas. Guests of this upscale resort have access to the Aruba Marriott Resort and Stellaris Casino including its spas, pool with waterfall, shopping, and Las Vegas-style entertainment. The Caribbean is perfect for swimming, snorkeling, diving, and windsurfing, and also provides a brilliant backdrop for golf and tennis! Discover more about this outstanding retreat by visiting www.marriottvacationclub.com. *Interval International Elite Resort* Featuring a finely appointed 2 bedroom, 2 bath lockout suite that will accommodate 8 guests comfortably. Usage is annual in floating, gold season week. RTU until 2061. For more information or to make an offer, please submit the inquiry form. DISCLAIMER: ArubaSurfClubResort.com is not affiliated in any way with Marriott’s Aruba Surf Club, Marriott’s Aruba Ocean Club, Marriott Vacation Club (MVC), Marriott Vacation Club International, Marriott International, Inc., or any of their affiliates or subsidiaries. This website is independently owned and operated and specializes in the resale and rental of privately owned intervals and units.